Canal Ministries has been established in direct response to God's calling to Christian boaters. The team have a heart for full time evangelism and ministry largely, but not exclusively, on the Inland Waterways of Great Britain. Our work is mainly among those with whom we are brought into contact on our waterways and towpaths. These people may be working, boating, fishing, walking, running, cycling, sitting, living, or by the waterways for any other reason(s). We make ourselves available to listen. This includes offering help to Canal & River Trust staff and volunteers, particularly when they have experienced an accident or other trauma. 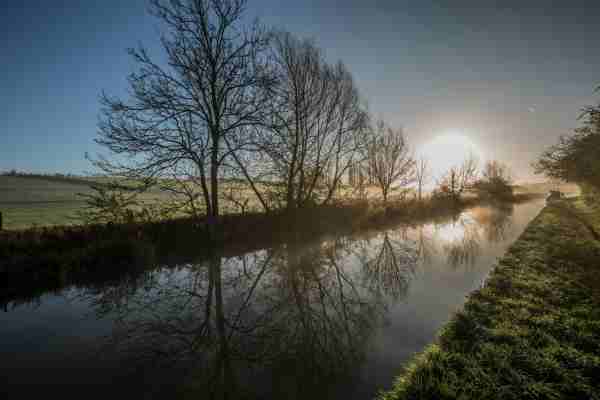 At present, we have a group based at the western end of the Kennet & Avon Canal. Others cruise around the system to where God is calling them. Two of our team are land based, working with elderly rest home residents in the Tamworth area. Team members are ready to help anyone in trouble on or around the waterways. They will always lend an ear and help out in any practical way they can. As a charity, we will try and help any boater suffering genuine hardship for whatever reason. This includes working with outside agencies as and when appropriate. Our Boaters are backed up by a team of Trustees, to whom they are responsible. Both Boaters and Trustees are available for teaching and training God’s people and churches throughout the country, not necessarily by the waterways. We make ourselves available to any church, group or organisation that can use the variety of gifts with which the Lord has blessed us. We are always happy to come and talk to churches about the work we do. Our Boaters are self supporting and do not receive a salary. They also belong to the Boaters' Christian Fellowship, although Canal Ministries is a separate organisation with its own trustees. Below is a short video about the work on Canal Ministries. Click on the arrow to play, and click on the icon in the bottom right-hand corner if you wish to make it full screen. Canal Ministries is a charity registered in England and Wales No 1113130.